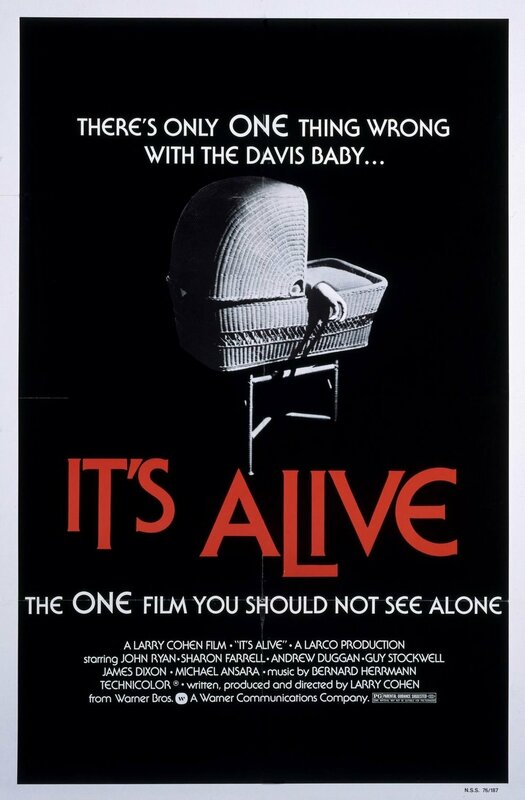 Its Alive was actually a pretty decent horror film and a very hilarious concept. The movie all around has a sort of 1950's b-movie feel to it. Even the soundtrack has that same feel. This has to be the best movie that Larry Cohen directed, he has plastered his name on some stinkers, but this is one of his crowning achievements. One of the best things in this is the Unknown. You barely see the "Monster" the entire film. If you don't know what happens... A woman gives birth to a freakish monstrosity that runs amok in Los Angeles killing people in its way. The movie climaxes in the beautiful Los Angeles river.. yeah right, beautiful. Like I said above the movie does a great job of keeping the monster hidden from the camera for most of the film. It is pretty successful in keeping the audience guessing what is going to happen next. My guess is that when Larry Cohen was directing this he wanted to parody 50's Monster movies, and he did a great job. I could see this movie double billing with such classics as Them or Attack of the 50 foot Woman. I ordered this movie on Netflix where it is available to watch online. So if you wanna see it go there and watch it instantly. I had a great time watching this baby killing everyone in its path, i got some really good chuckles. The movie isn't shy of blood or suspense either. So it definitely fits in the Horror genre. I will give It's Alive a 6 of 10. That's no baby, that's a dog man!